A quick shrimp dish is just what I craved after several weeks with without eating any seafood or at least the calamari that I ate in the middle of the country wasn’t very good and not worth mentioning in a good way. While we consider how many pounds to order to stock the freezer with for the winter I decided to have some of last October’s haul of 35 or so pounds (I only have 4 pounds left) so it is time to order. I made a quick version of David Chang’s kimchi to sauté with the shrimp in a yummy blend of miso, butter and a touch of avocado and sesame oils. Sprinkled with Japanese pepper, * optional Furikake Nori-Tama and then grilled in a super hot grill pan. 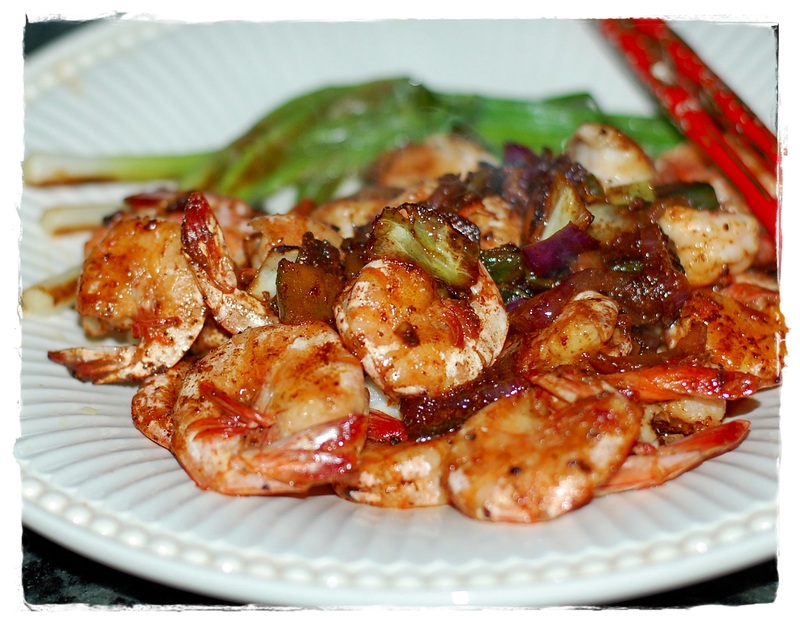 Perfect shrimp sauté with a nice bowl of seasoned sticky rice and I loved the sautéed kimchi. In a colander, toss the cucumbers with 1/4 teaspoon of the salt and 1/2 tablespoon of the sugar and let stand for 10 minutes. In a bowl, mix the remaining 1 1/4 teaspoons of salt and 2 tablespoons of sugar with the chile flakes, ginger, garlic, fish sauce, soy sauce and dried shrimp. 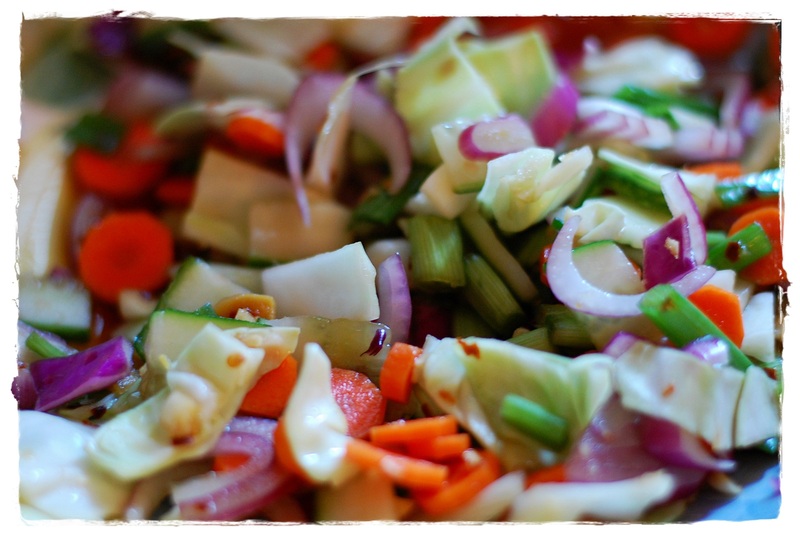 Toss in the carrot, scallion, onion and cucumbers. Arrange the cucumbers in a shallow dish, spooning the shredded vegetables and liquid on top. Let stand for 15 minutes, turning once or twice and then serve. 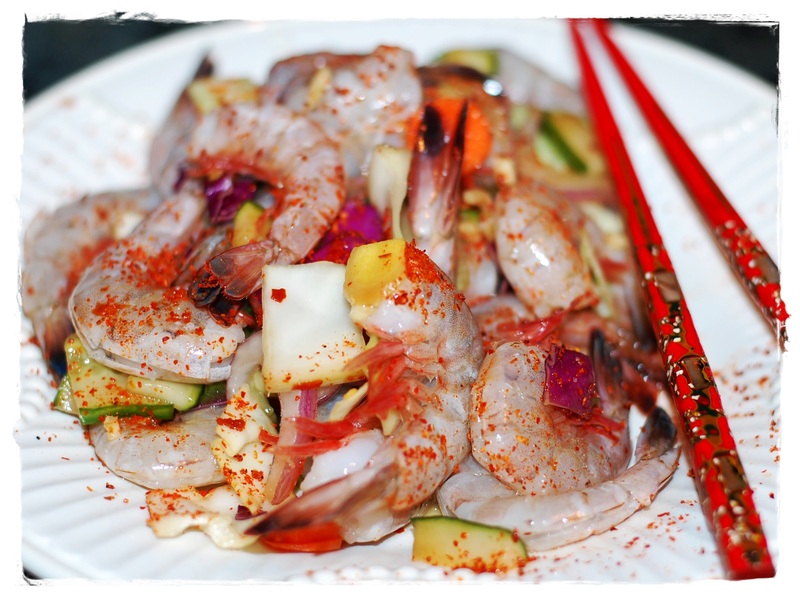 Posted on September 25, 2014 by ibbeachnanaPosted in Asian-Style, ShrimpTagged David Chang, shrimp dish.